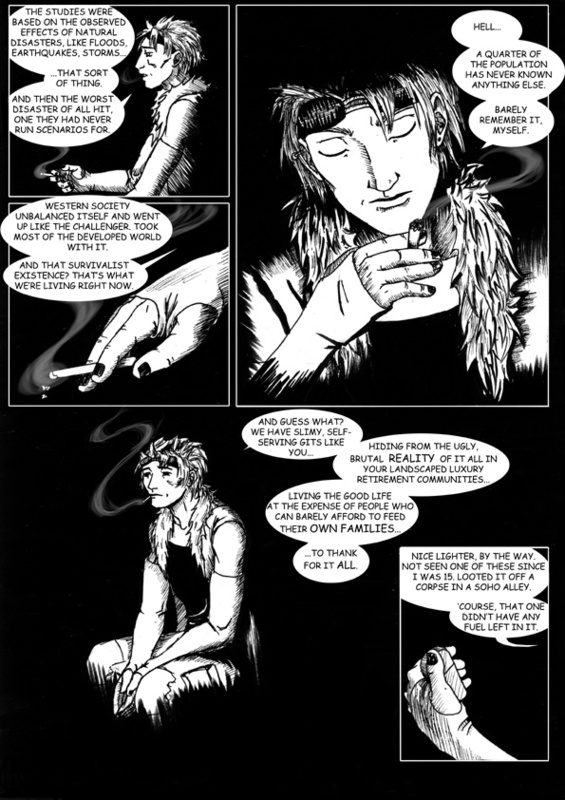 A three-page test graphic using the prologue from a graphic novel script. 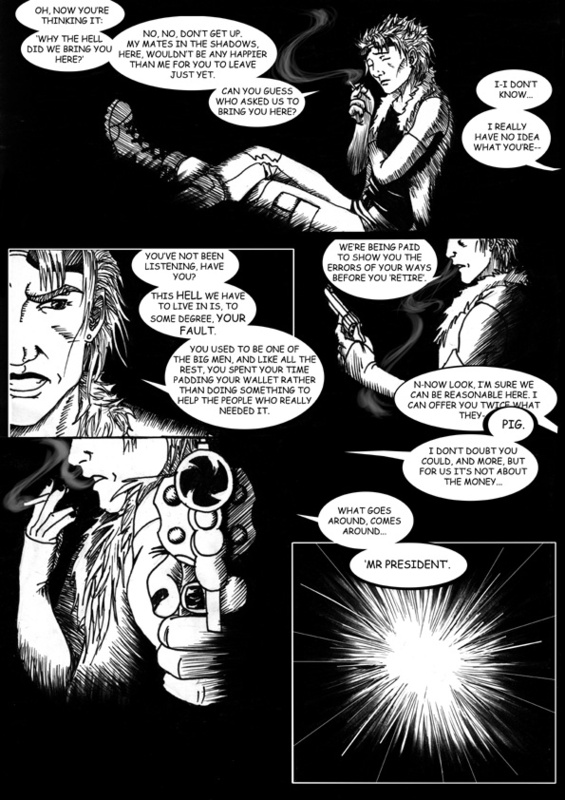 The setting was post-apocalyptic near-future set in a glacier-locked London. 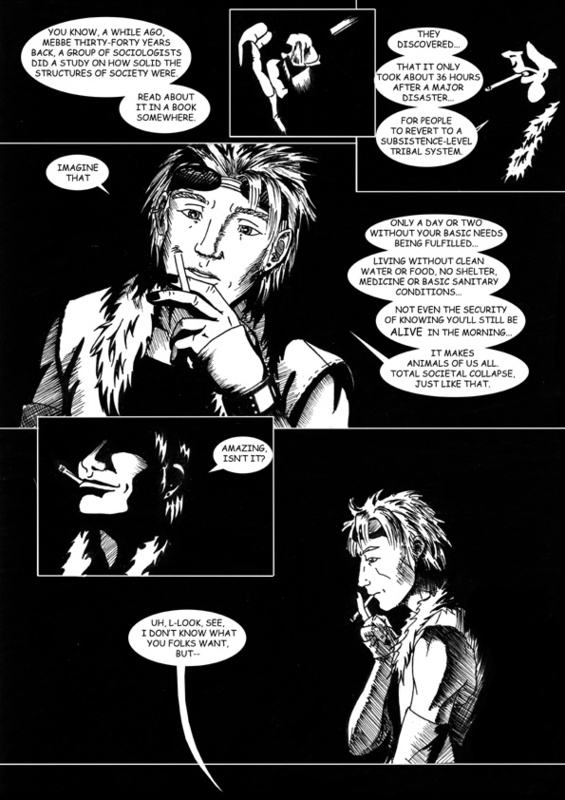 In the end I never finished the graphic novel, although the setting enjoyed a brief existence as a theoretical video game myself and a small group intended to use in the Dare to be Digital challenge at Abertay University in 2007. Alas, our art team was only myself, and we didn’t get accepted into the challenge.